Prior Experience – Day Skipper Standard, 15 Days on Board (2 as Skipper), 300 miles, 8 night hours. RYA Coastal Skipper Motor course covers skippering techniques for coastal & offshore passages, and takes Day Skipper skills much further. Over the 5 days you will cover some longer passages, carry out berthing in a wide range of conditions, cover the all important Man Overboard (MOB) procedures, and increase your night hours. You will find the course easier if you have already completed RYA Coastal/Yachtmaster Shore based, as the navigation elements are more advanced than for Day Skipper. This course can be followed with an RYA/MCA Yachtmaster Coastal Exam if required, which can in turn be commercially endorsed. The RYA charge a separate fee for this, and an external examiner will need to come down. 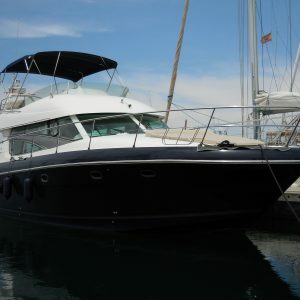 We can arrange this process for you, and provision and fuel the yacht for your exam. Where necessary, we can also usually provide crew.